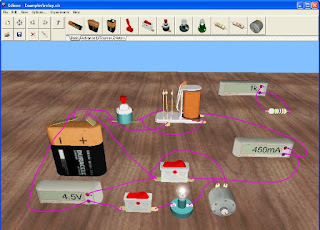 Edison version 5 is a unique new learning environment for electricity and electronics. Teachers and students can use multimedia screens, virtual instruments, sound, and animation to create, test, and safely repair circuits. 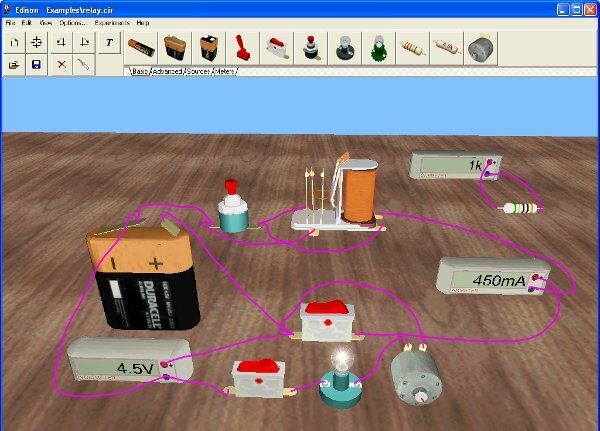 Real-time 3D graphics and lifelike 3D components will captivate your students as they build circuits in the real 3D world. Edison also comes with over 100 experiments and problems that teachers and students can use immediately. Select realistic batteries, resistors, diodes, LEDs, transistors, logic gates, flip-flops, and even microcontrollers & integrated circuits all easily available on the shelves of your multimedia lab. 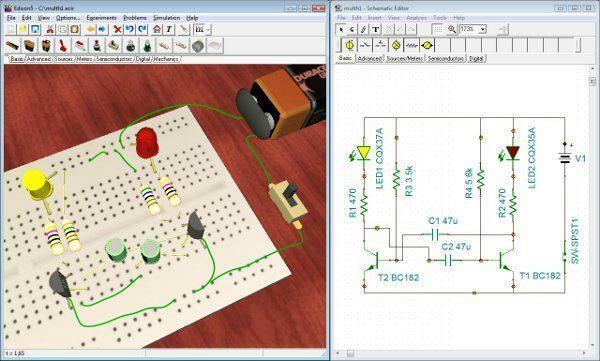 Drag them onto your “breadboard” and wire them together with your mouse. Your circuit begins working immediately so you can test and troubleshoot it with virtual instruments. In addition, Edison automatically prepares a standard schematic diagram and displays it simultaneously. Once you have become familiar with schematic diagrams, you can use Edison’s schematic editor and circuit analyzer, compatible with the more advanced TINA circuit analysis program. Edison provides a state of the art analysis results window in addition to its virtual instruments. Using the results window, you can present circuit analyzes with full control over axes, line style, color and fonts. You can even print these diagrams directly from Edison or cut and paste them into your favorite word processor. One of the most intriguing and innovative features of the new Edison is that it can not only calculate voltages and currents, but also, for linear circuits, show how these results are derived or mathematically described. For example, you can learn how to use Ohm’s law, how the output of a filter varies with frequency, and how the voltage of a charging capacitor varies as a function of time.